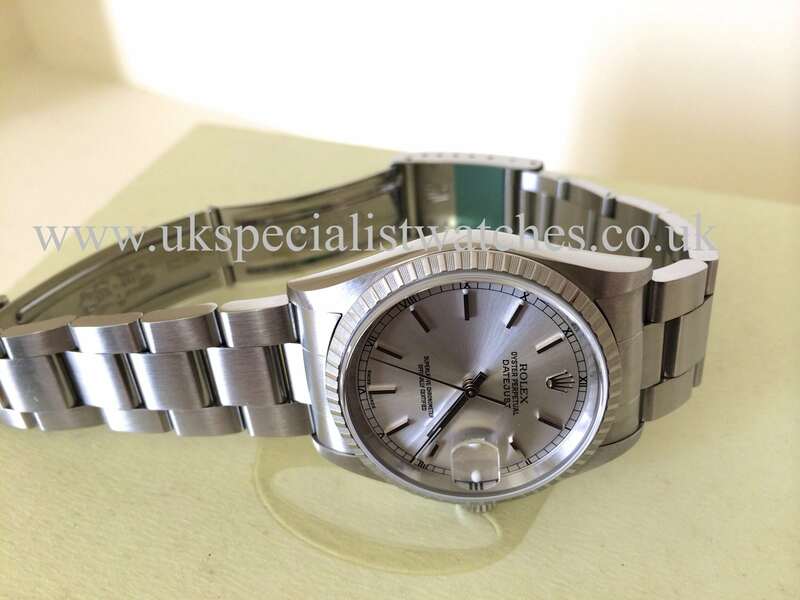 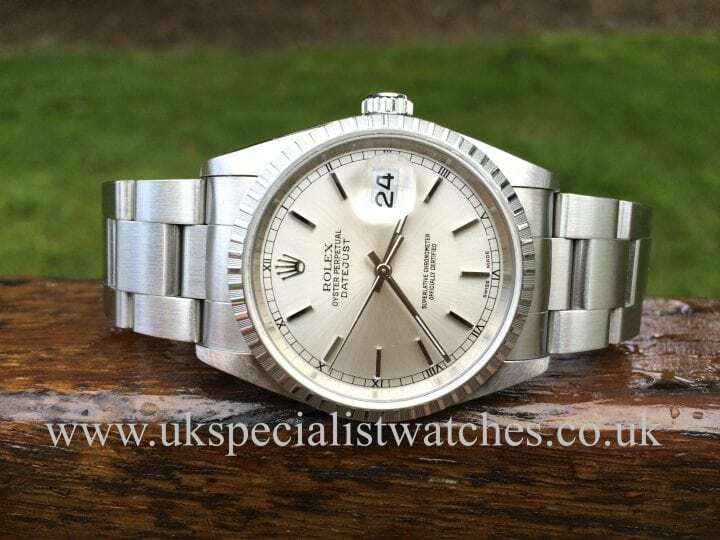 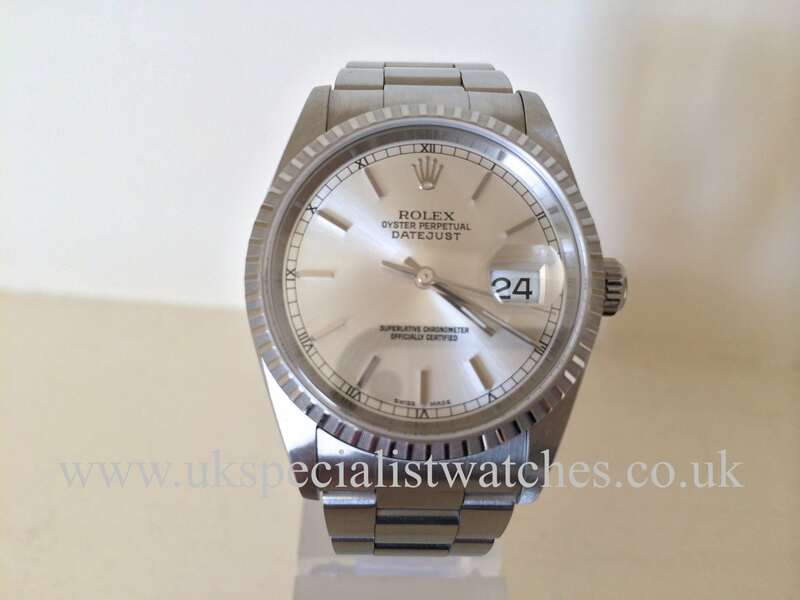 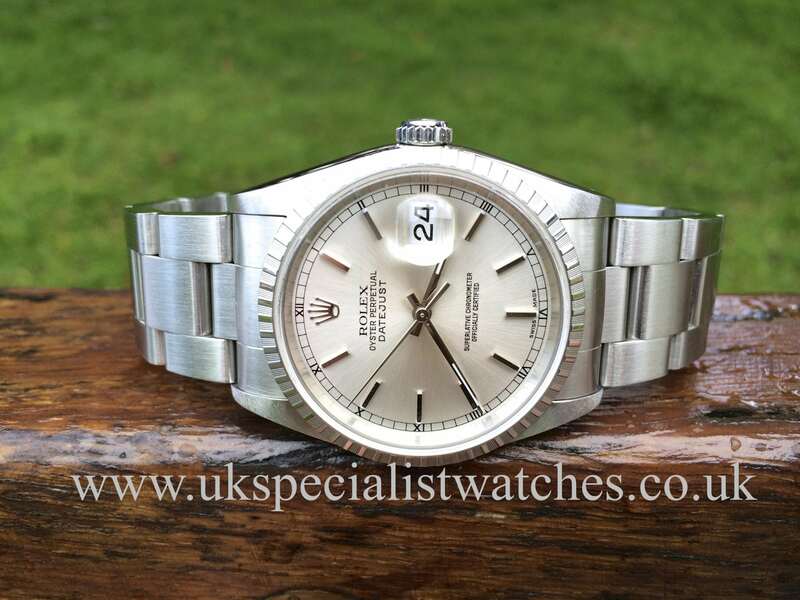 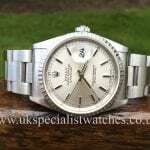 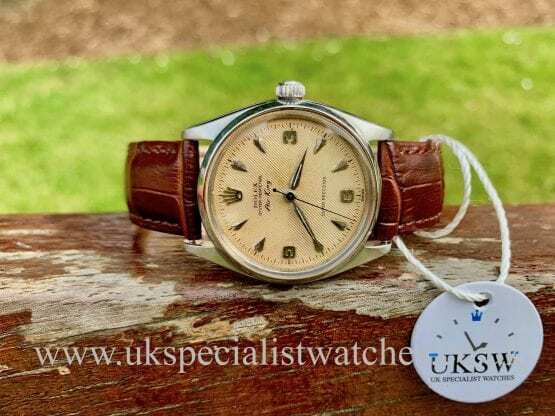 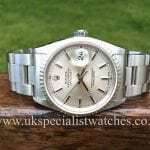 Rolex 36mm Gents Date Just with the hour marked bezel. Our UNWORN example with a sharp Silver dial applied silver batons and hands, scratch resistant sapphire crystal glass. 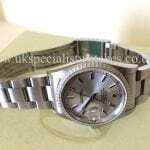 Fitted with the much more sporty oyster bracelet and Oyster clasp. 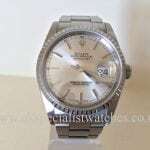 Rolex's automatic movement chronometer rated. 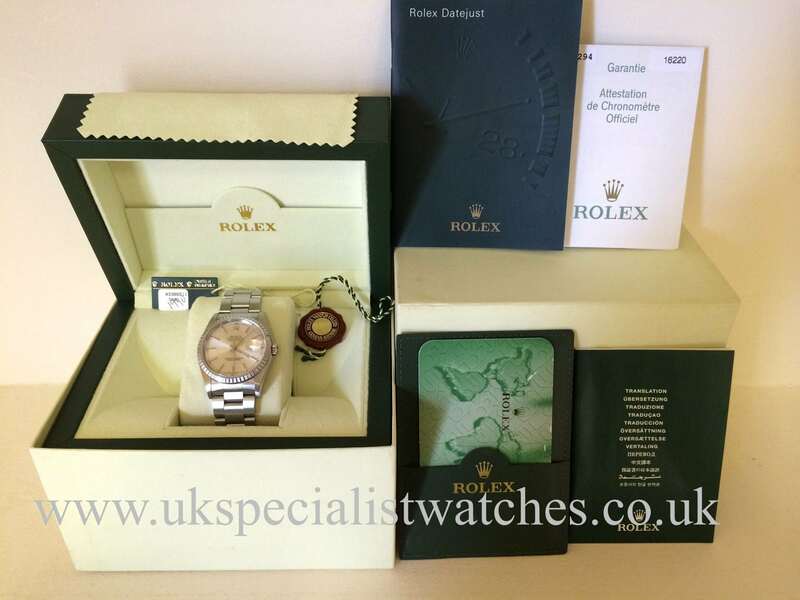 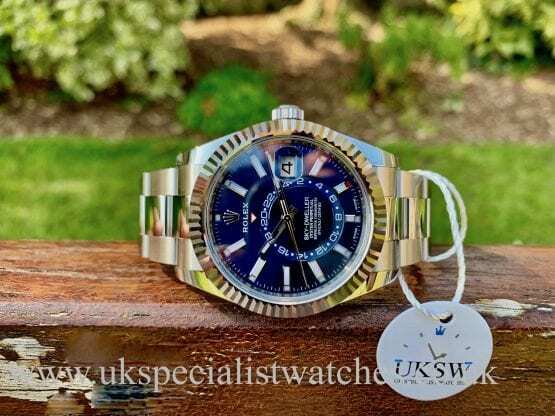 screw down crown, water resistance to 100m.Complete with original Rolex box,Papers dated Sept 2005 swing tags, Date-just booklets,calendar card.wallet etc.